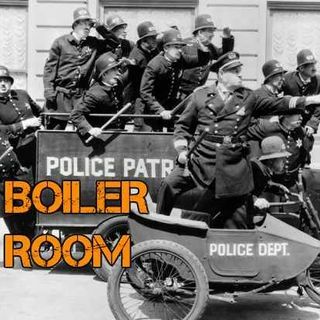 Join ACR hosts Hesher and Spore along with Jay Dyer of Jays Analysis, Patrick Henningsen of 21WIRE, Randy J (ACR contributor) and Andy Nowicki, author of Conspiracy, Compliance, Control & Defiance, for the hundred and sixth episode of BOILER ROOM. Turn it up, tune in and hang with the ACR Brain-Trust for this weeks boil downs and analysis and the usual gnashing of the teeth of the political animals in the social reject club. We're breaking down the developments of a potential Israeli ... See More Missile attack in Syria, North Korea as a joke of a Nuclear threat and the utter failure of Netflix and the Bill Nye show to influence viewers to join his cult of lab coats and bow ties with the catch phrase being "I told you so... because IT IS SCIENCE!" Does Bill Nye promote eugenics and incarceration of anyone who doubts his version of science... You bet he does, just watch his new show if you have any doubt.